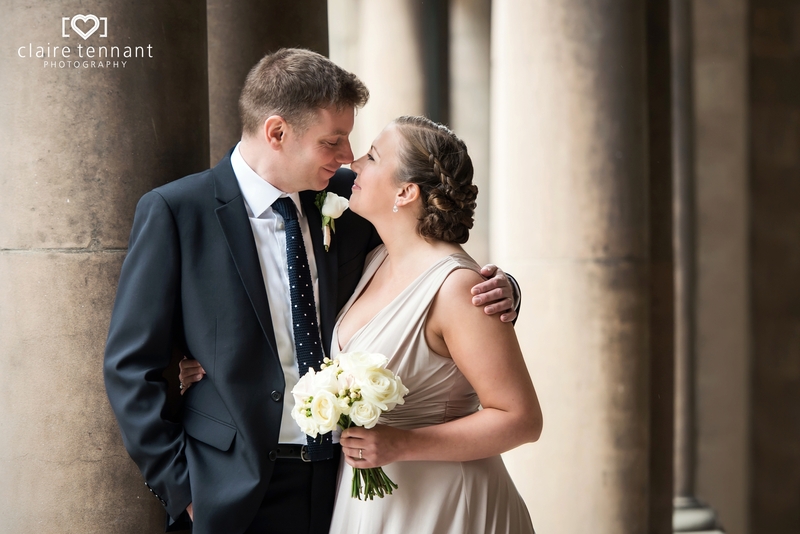 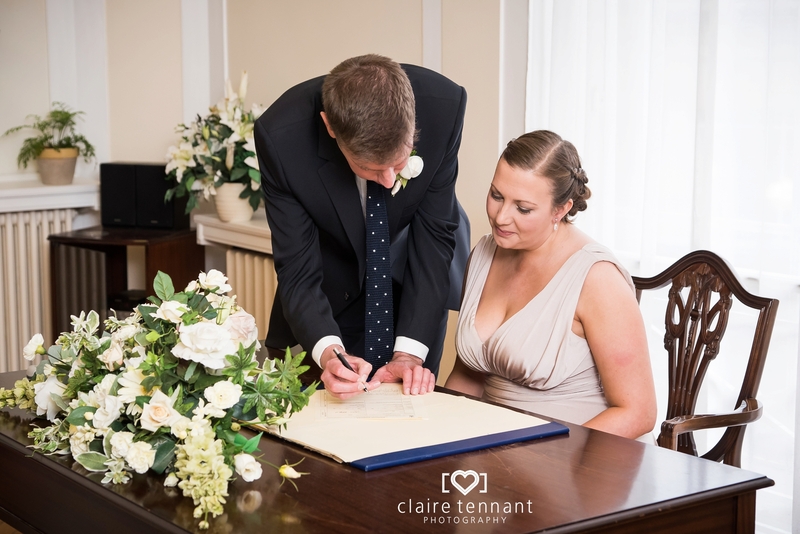 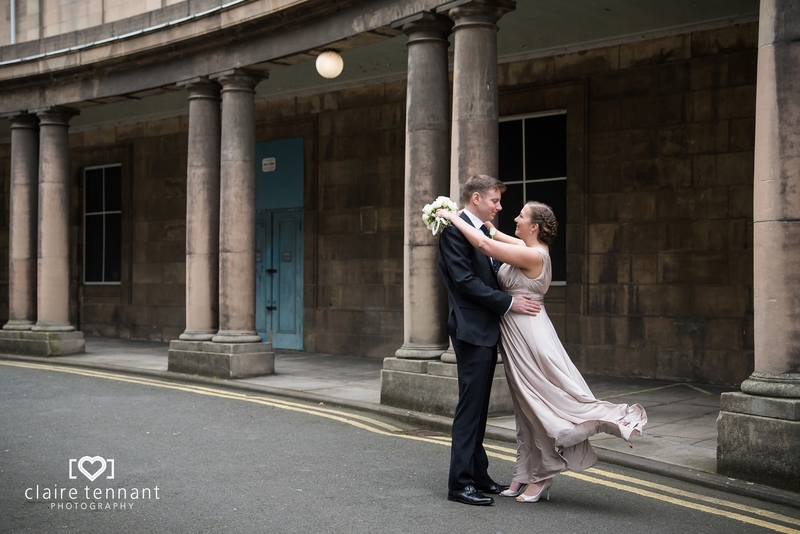 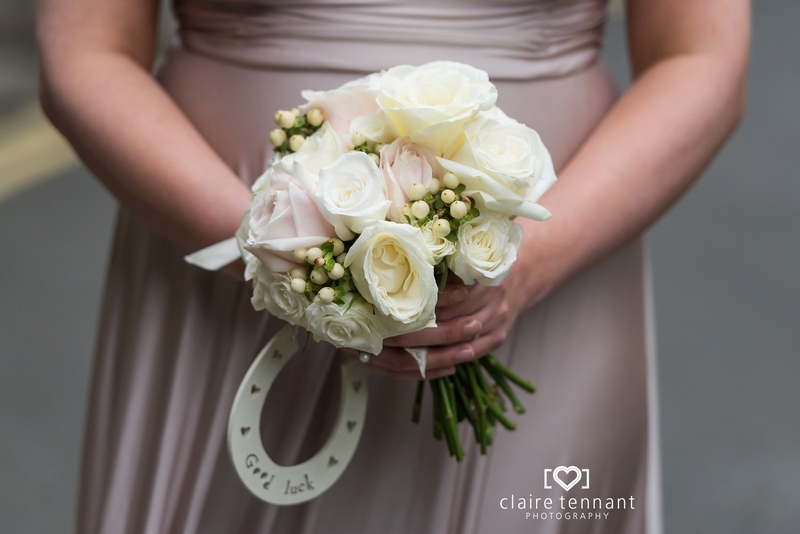 I had the pleasure of photographing Sophie and Ben’s Edinburgh Leith Registry office wedding last Spring. 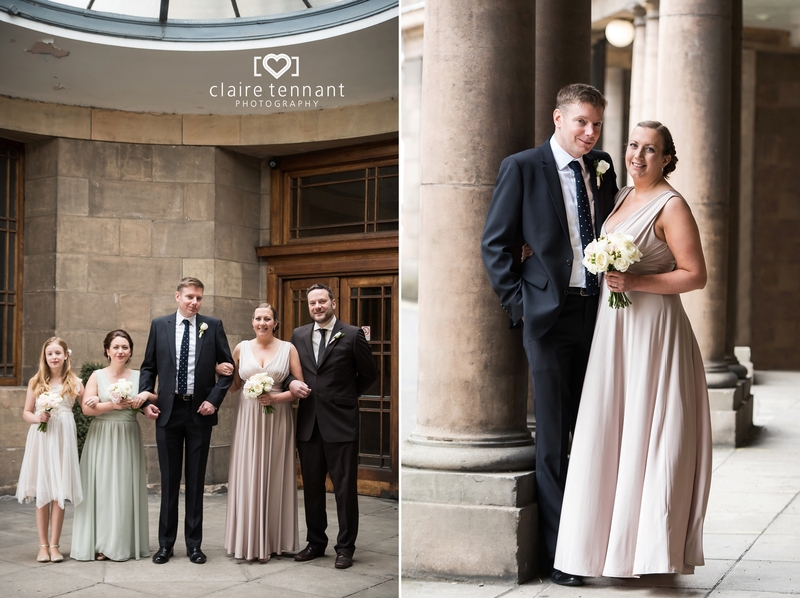 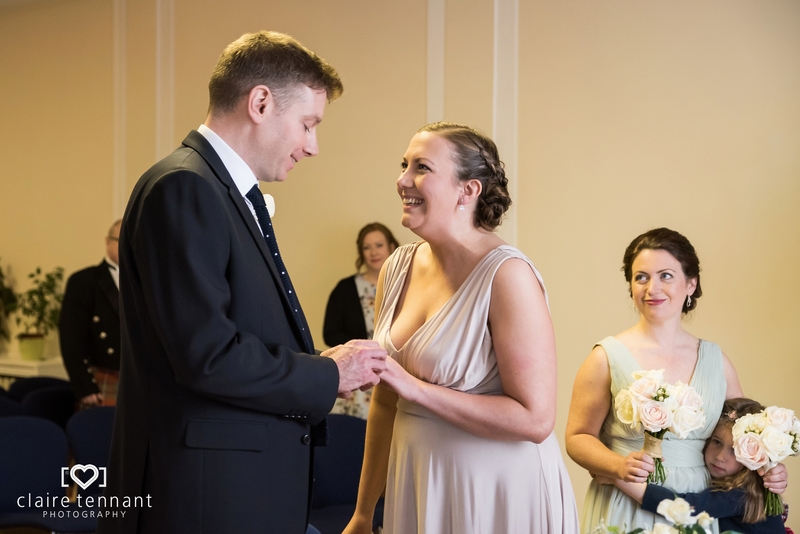 It was my first time at Leith Registry Office and when I arrived I found that it is set in a complex of buildings that used to be Leith Theatre and Leith Town Hall! 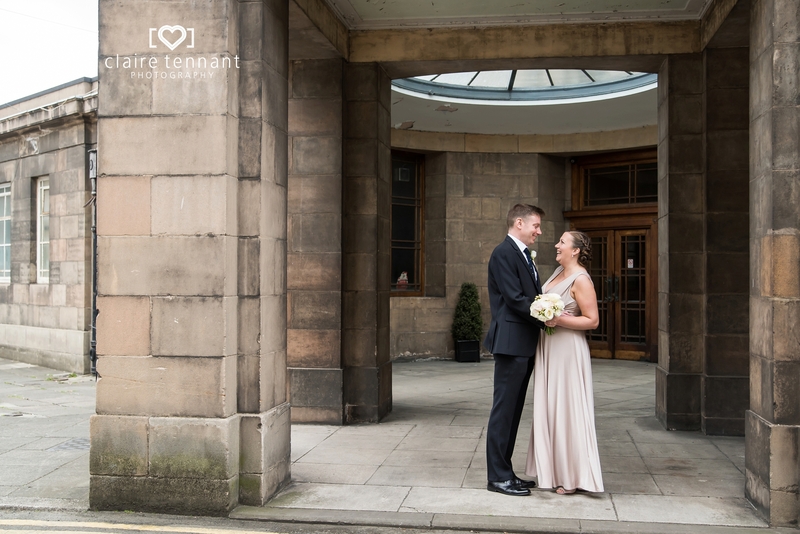 Some of the features inside such as the large staircase and reception area are quite impressive. 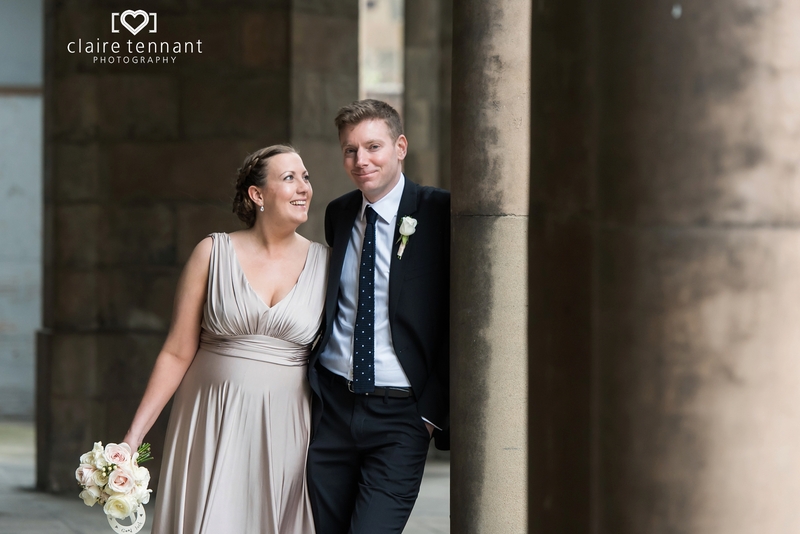 Not keen on being centre of attention Sophie and Ben chose to have a small, intimate celebration with their closest friends and family. 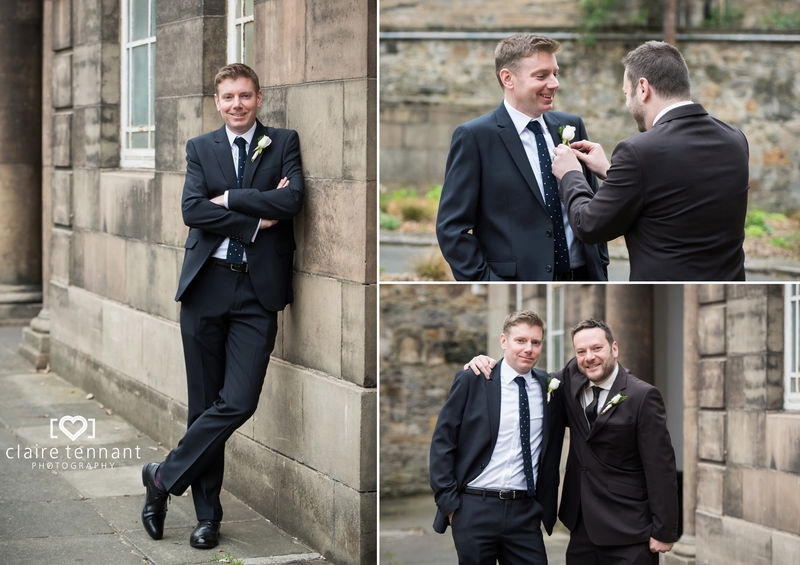 I was only there for a short while to capture the key parts of the day such as the ceremony and some portraits afterwards. 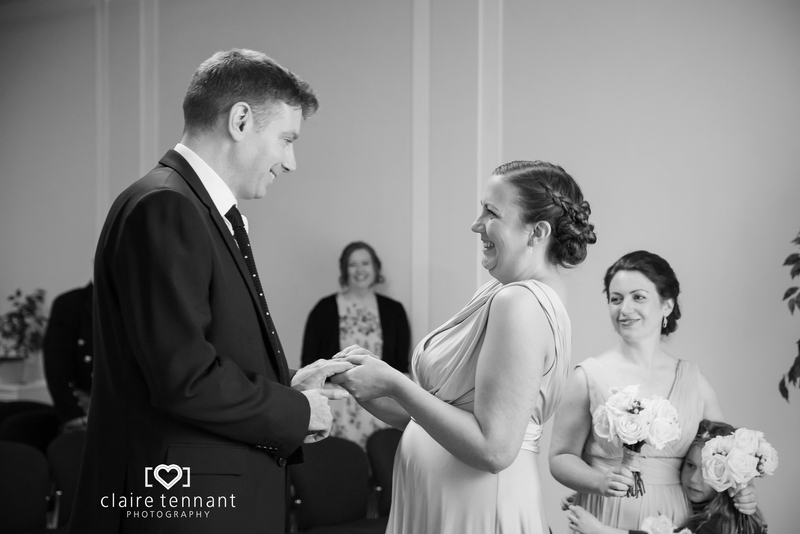 The ceremony was brief but moving and it was clear to see how in love these two are! 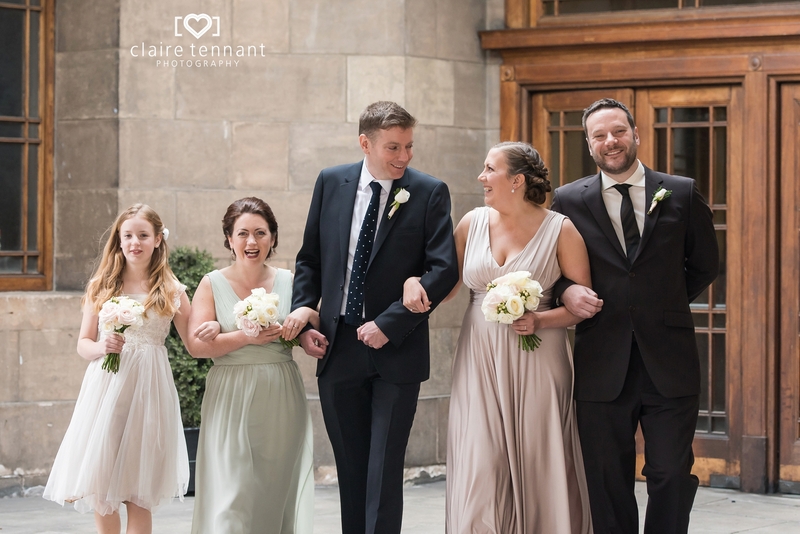 After the ceremony we captured some family group portraits before making our way outside for some romantic couple photos. 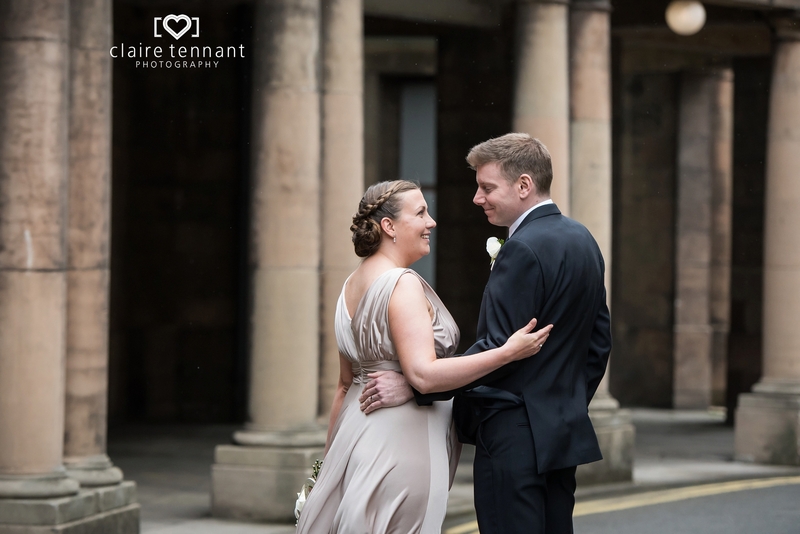 It started to rain lightly so we made use of the sheltered areas and pillars around the registry office.